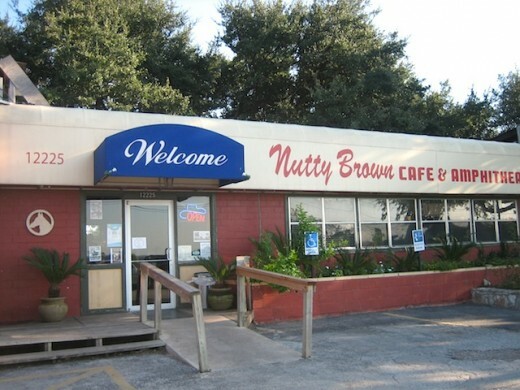 (map) With all the fancy new contemporary restaurants popping up lately, it’s comforting to soak in the old-school Austin vibe of the Nutty Brown. 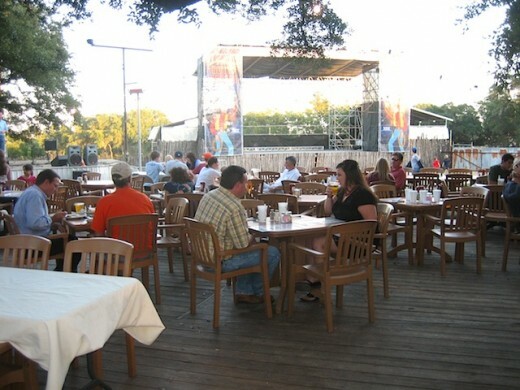 Known as an outdoor live-music venue hosting such big names as Dwight Yoakam, Clint Black and Randy Rogers, there are plenty of free shows, too, like this one put on by the Carport Casanovas. 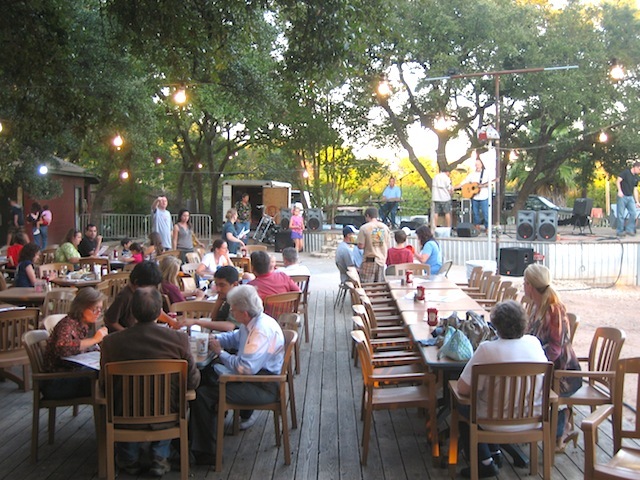 The family-friendly, Texas roadhouse feel is bolstered by Hill Country comfort-food classics, like chicken-fried steak, burgers, tex-mex and frito pie. If you find yourself sighing for the good ol’ days of Austin, step back in time right here. The chunky guacamole and salsa both tasted fresh and homemade, with lots of onion and tomato. 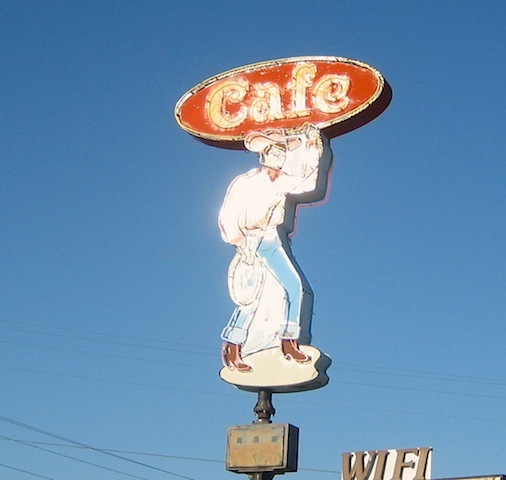 There are several burgers to choose from, as well as an awesome chicken-fried steak. 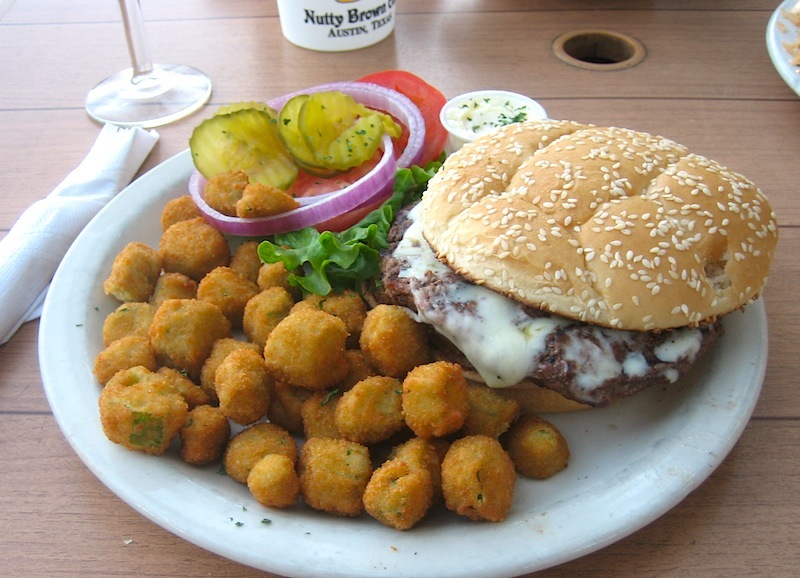 The Cedar Valley Burger is a 1/2-lb Angus burger, with all the fixings and your choice of 19 side dishes. This side of fried okra was the perfect texture, crisp outside and tender inside. 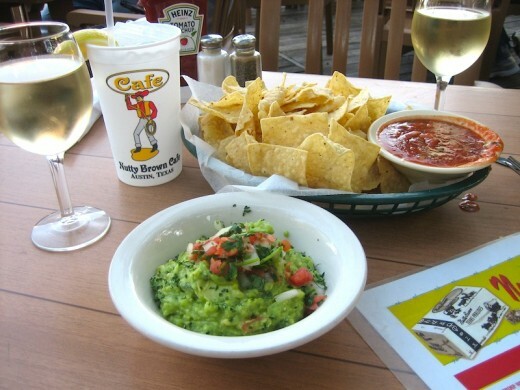 Lots of Tex-Mex dishes are on hand, too, from fajitas to enchiladas. 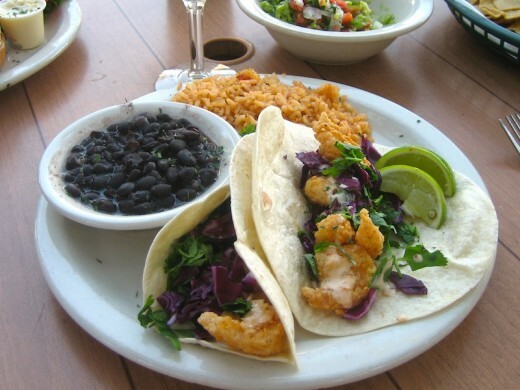 MB’s Shrimp Taco Platter, above, is two fried-shrimp tacos with red cabbage, drizzled with chipotle ranch dressing. Delicioso! 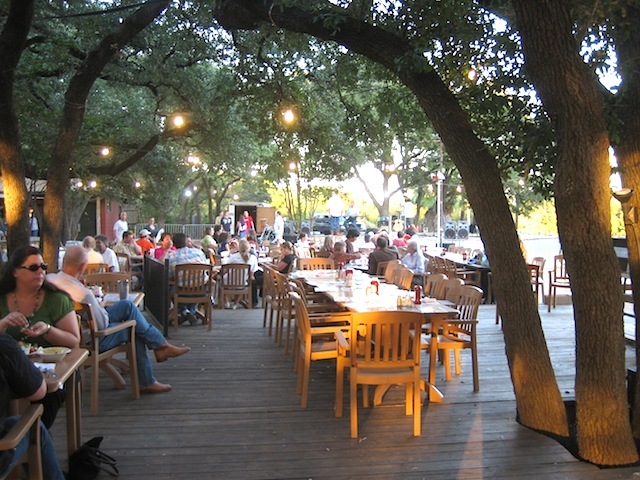 Three dining rooms and a bar are inside, but in this weather, most folks opt to dine out in the big open area under the huge oak trees. Above is the main stage where the big dogs play. This smaller stage accommodates the free shows, which are three or four nights a week. There’s a kids’ night on Tuesday, with a bouncy house, but the Nutty Brown is popular with families any night of the week.